Police divers have found a body in the one of the cars pulled from Sandy Creek this morning. UPDATE: Police have found a second body at the flooded Sandy Creek near Gatton. 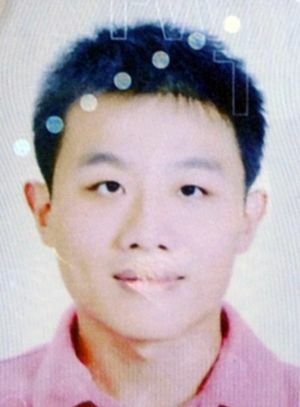 The body is that of missing Taiwanese national Jerry Yukun, 25. 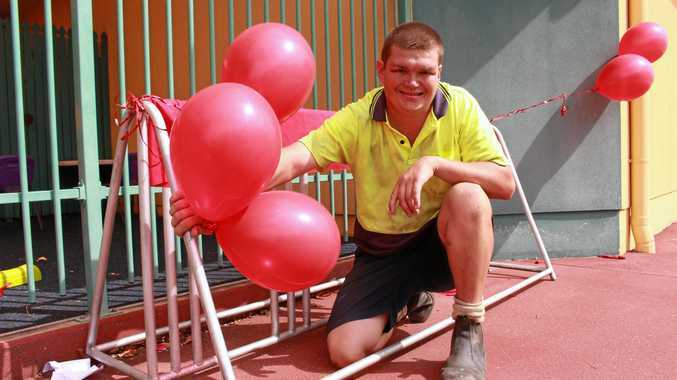 He had not been seen since leaving Gatton in the early hours of Sunday morning to travel to work at Mulgowie. Police found the body 300 metres from where two submerged cars were pulled from the swollen creek. TODAY 2.45PM: Police divers have discovered a body in the second car located submerged in Sandy Creek near Gatton this morning. The body is believed to be of a Malaysian Mulgowie farm worker. The search and rescue operation started for two men after another vehicle, a white 1997 Mitsubishi Magna was located in the same vicinity yesterday afternoon. It is believed the Magna was being driven by a 25-year-old man travelling from Gatton to Mulgowie for work about 5am on Sunday. Police were also searching for a 34-year-old man who was travelling from Gatton to Mulgowie for work at the same time, but failed to arrive and has not made contact with colleagues since. Both vehicles have been extracted from the creek. SES crews are continuing to search the area. Police divers search an area near Sandy Creek in the Lockyer Valley. TODAY 11AM: Police divers have located a second submerged car in Sandy Creek during their search for two missing men. Grave fears are held for Jerry Yukun, 25, and a Malaysian national, 34, as police have now found both their cars in a flooded creek. A tow truck is expected to retrieve the second vehicle soon so it can be searched. It is full of debris and rescue workers cannot see inside the vehicle. Police are searching for two men missing in the wake of the weekend's floods across the Lockyer Valley. TODAY 10AM: Police divers are searching a creek in the Gatton/Laidley area for two workers missing since Sunday morning. The men were heading to work at Mulgowie Farms about 5am. Creeks were flooding in the area at the time. A police command centre had been set up on Woodlands Rd between Gatton and Laidley on the banks of Sandy Creek. Officers have cordoned off an area and unconfirmed reports said they had found submerged cars. The workers were travelling to work in separate cars. About 30 police officers are at the site. EARLIER: Grave fears are held for a Taiwanese national who has been missing in the Lockyer Valley for four days. Jerry Yukun, 25, has not been heard from since the early hours of Sunday morning after leaving his Gatton home to travel to work at Toogoolawah. It is understood Mr Yukun was driving along water-logged roads in an attempt to get to work at the time. He did not make it to work and has not been seen since. Concerned friends spent yesterday scouring the streets of Laidley looking for any signs of the missing man. Mr Yukun's distraught partner Fibi Lin said it was out of character for him not to have made contact with anyone from his close-knit circle of friends. "We have not seen or heard from him since 5am on Sunday," Miss Lin said. "We are extremely worried and concerned for his safety. "We have tried calling his phone but it is switched off," she said. Miss Lin said a missing person's report has been lodged with Queensland police. "They have told us to wait and see if he returns home," she said. A Gatton police spokesman has confirmed a missing person's report had been lodged and investigations are under way. "It is extremely concerning, especially in the current situation, that a person has not been seen or heard from since setting out for work four days ago," he said.